Over the last year I have been working with NTU (Nottingham Trent University) within their Enabling Innovation program to embrace digital technologies within my practice. At first I was a little sceptical about the possibilities of this new burgeoning technology to try and capture the delicate details of something hand woven, but I think we are beginning to see some positive results. The first items I gave them were some spiral forms made using the corn dollie 5 stranded spiral weave, which they digitally mapped and then printed with the new 3d clay printer. The results were very interesting and I shall share these with you in a later post. After experimenting with clay, we moved on to a 3d printer with a synthetic polymer, and the test piece was a length of macrame knots woven in a 4mm thick cotton cord. The piece was worked over a wire core to enable the technicians to suspend the weaving and capture a 360° view of the work. The scan was sent to print and the results are very promising. The printed work has captured the threads of the cotton well and the movement of the weave is visible in every twist and turn. What next? The scans of handwoven work could be further manipulated and produced at differing scales which could lend itself to large scale works. Now I need to see if a scan can capture something much more delicate than a chunky series of Crown Knots, and scan a panel of macrame. Part of my Spirit of Mayflower project is exploring migration and family history inspired by the Mayflower story. My family history is peppered with stories of migration, albeit smaller in miles, the times and circumstances would still have caused great upheaval. During this week I have been delving into the lives of my Gt, Gt, Gt Grandfather Thomas Bramley who was born in Leicestershire c.1848 and was later baptised at St Mary’s Church, Blidworth, Nottinghamshire. His father was a shopkeeper in Hucknall Torkard, Nottinghamshire and Thomas followed his father into the family business as life as a Hawker. During a visit to Nottingham Archives I have found some fascinating stories about him and his family, which included moving multiple times, finding himself in the bankruptcy court in 1878, changing his entire families surname and moving them to Ilkeston, Derbyshire. Life in Ilkeston under a false name must have been difficult, and he took up a job as a coal miner. This career change must not have been a good fit for Thomas as I find him back as a Licensed Hawker and reverting to his true name in 1891. In fact the whole family help out as hawkers, his wife Ann, son John Thomas and daughter Floria are Hawkers Assistants in the 1891 census. After some time Thomas and wife Ann move back to Hucknall Torkard, but some of their children stay in Ilkeston carrying on with the family trade. Son John Thomas Bramley marries Elizabeth and has a son, also called John Thomas. Luckily I managed to find a picture on the local history group facebook page, showing wife Elizabeth with their son. The shop was on Nottingham Road and later moved to White Lion Square where it remained a local hardware shop up until the 1970’/80’s when the area was redeveloped. Reading the facebook posts really helped bring this part of my family history alive, with many people remembering popping into old Mr Bramley’s shop. Although I don’t yet know much of what became of Thomas Bramley once back in Hucknall, I did find him in Kelly’s Directory of Nottinghamshire in 1900 listed as an Earthenware Dealer. Wife Ann received poor relief around this time, listed as ‘Infirm’ she was awarded £3 S2 D6, she later died in 1901 aged just 53 years of age. This week I have been looking forward towards embracing new technology within my sculptural work, and also looking back at the turning point in my career. One of the aims of this project is to develop my skills with CAD (Computer Aided Design) to draw out the fluid shapes of the sculpture and then apply a texture to the surface that can be further adjusted. Two weeks into my Artist Residency at Nottingham College I have accomplished drawing out a dice with each spot featuring a delicate bevel, and created a sphere with an outer covering of an image. The second artist residency at Nottingham Trent University will begin shortly and run alongside the first, during my time with NTU, I’ll be scanning hand woven textures such as macrame panels, to digitally map and record my weaving. It is these woven maps that I will be combining with the fluid shapes within the CAD drawings. I took a look back at one of my earlier sculpture developments today. It’s aim was to try and capture hand woven willow in Bronze. Told it was technically impossible, I persevered and successfully cast an 80cm diameter woven sphere with Pangolin foundry, which now sits proudly in the Derwent Valley World Heritage at Belper’s North Mill, Derbyshire. Before the sculpture was installed in Belper, it was first shown at the 100th RHS Chelsea Flower show and then exhibited at Change of Heart at the University of Leicester’s Botanical Gardens. Rachel Carter has won widespread acclaim for her woven works in willow, using the tree’s flexible withies to build up geometric shapes layer by layer. She is a regular exhibitor at the annual Chelsea Flower Show where the natural, hand-made quality of her work is warmly embraced. Although her woven creations have somewhat limited life span compared with works in more durable materials such as bronze or stone, this ephemeral quality has not deterred collectors. Most see it as an important part of the work - an echo of the universal rhythm of life and death to which ultimately everything must conform. However, driven by a technical curiosity towards materials, Carter recently began working with the renowned Pangolin bronze foundry in Chalford, Gloucestershire with a view to exploring the viability of translating her willow technique into bronze. The Pangolin team has yet to encounter a challenge it cannot meet, as Carter’s shimmering Bronze Grand Sphere (2013) is bountiful proof. 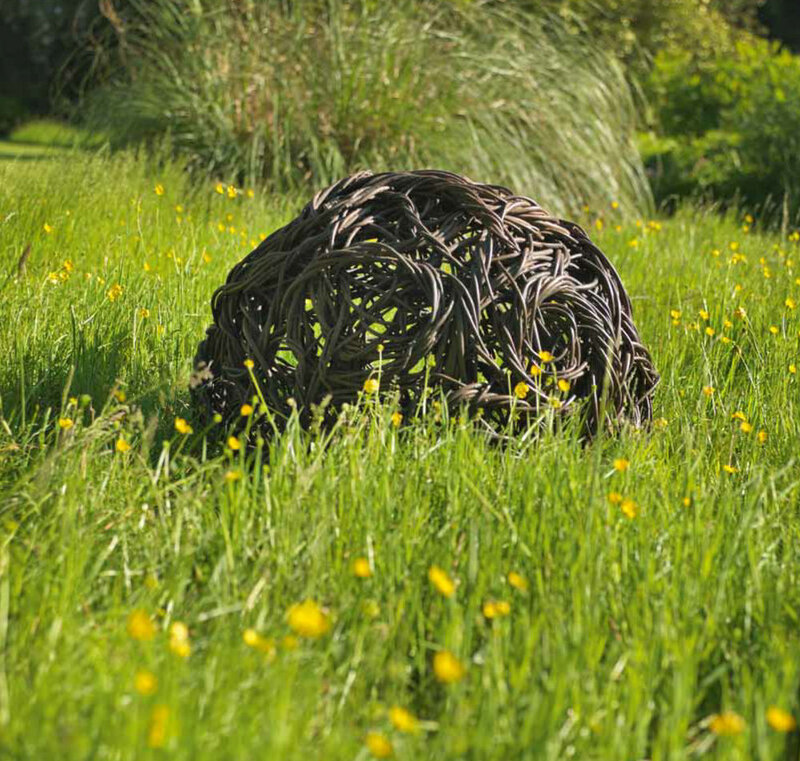 This woven bronze sphere marks a significant moment in the development of Carter’s working method, although she will continue to weave in willow. 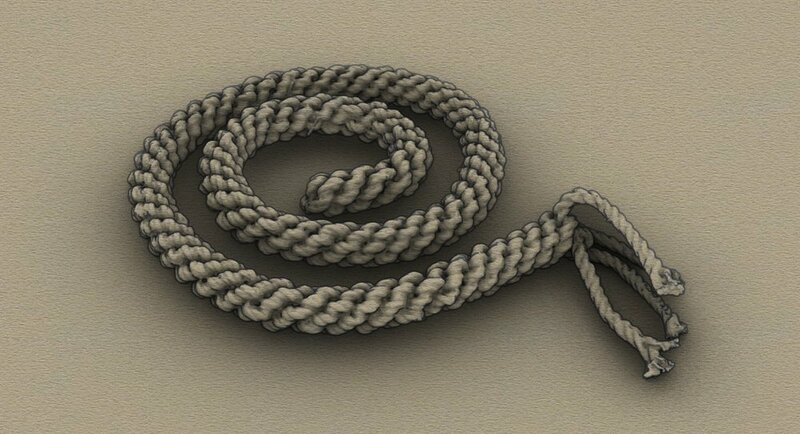 This new project will aim to digitally capture and bring knotting it into the modern age whilst still retaining the touch of the hand. I’ll explore storytelling, visual art and history through the textural language of sculpture. Exploring migration and family history, and inspired by the Mayflower story, I’ll be creating a modern version of the Atlantic crossing, then encounter the woven history of the Wampanoag tribe of America held at the Peabody Museum at Harvard University. This two year project will begin this week with a twin Artist residency at Nottingham College learning Computer Aided Design and at Nottingham Trent University learning scanning and digital mapping. Connect with Rachel Carter Sculpture, just click the icons!